The First Reformed Dutch (German Reformed) Church was organized on February 1, 1847. The building that it occupied was known as Temperance Hall. It was later transformed into a church auditorium. This hall had been formerly the Primitive Methodist Church were Lorenzo Dow used to visit and preach. The German Church rebuilt the edifice in 1869. The first pastor was John David Rose, who served from February 17, 1847 to July 3, 1848. Then came Francis M. Serenbetz, who served from July 3, 1848 to October 23, 1849. Frederick A. Lehlbach then took over on November 22, 1849 and served until 1861. At this time Pastor Lehlbach formed the German Evangelical Protestant Church (Independent Church). He served until 8 days before his death on September 11, 1875. On October 10, 1875, George Schambach became the Reverend. In 1883 the Church became a Lutheran Church and Reverend Schambach served until 1903. F. E. C. Hass took over until 1905 when William L. Siebert took charge. The edifice was rebuilt in 1869. 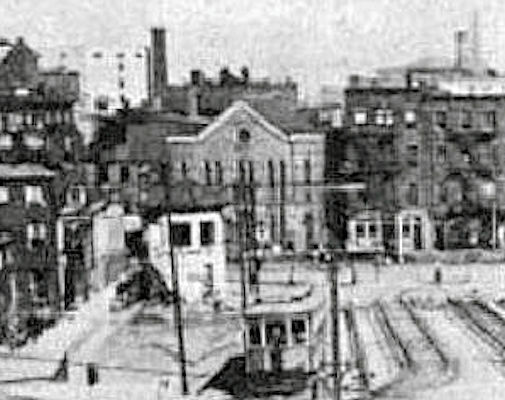 Behind this church was an old burying ground (present whereabouts are unknown). The burying ground still existed in 1912 with a few stones. The last reference to this church was in the 1914 Newark City Directory. Subsequent Directories fail to show the church. The 1915 Newark City Directory shows William L. Siebert at the Roseville German Evenagelical Church at 87-95 Fifth Street. He is still there in the 1940 directory. A 1922 map shows the church building gone.